The management of the National Information Technology Development Agency (NITDA) has warned the general public on the need for caution in the use of Public Internet Access services. The agency said “While Public internet Access (PIA) services are generally free and convenient for the public, where personal data is inappropriately or insecurely shared, it may constitute risks to members of the public. Similarly, where operators are unable to provide adequate security for use of these services, malicious software and other applications can be introduced to harm members of the public or to incur significant economic loss”. 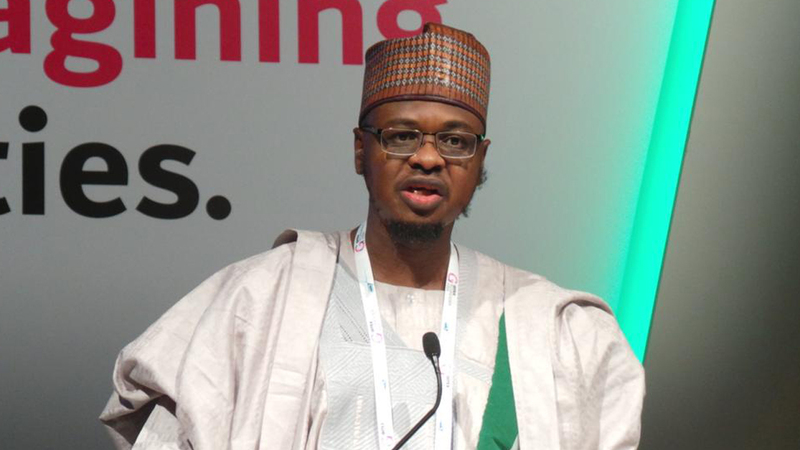 In a statement issued by the Director General, Dr. Isa Ali Ibrahim Pantami, NITDA said “The Agency, in line with its mandate to promote and regulate the Information Technology (IT) Sector in Nigeria, has set mechanisms in place to enforce compliance with the recently issued Public Internet Access (PIA) Regulation. All Public Internet Access service providers such as IT companies, restaurants, hotels, event centres are directed to comply with the Nigerian Data Protection Regulation of NITDA, 2019, issued pursuant to Section 6 of the NITDA Act, 2007. Only registered, verified and vetted providers can provide public internet access services in Nigeria. “The general public is therefore advised to always enquire if providers of free internet access services are duly registered with NITDA and therefore met all minimum requirements to offer free public internet access securely in Nigeria. The public is further advised to ensure personal information such as personnel identities, residential addresses, banking details, etc. are not shared over public networks. 1, Always verify Wi-Fi access point before connection as thepossibility existsfor criminals to create a fake Wi-Fi-name to lure the public into connecting to it and thereby intercepting ALL activities on the network. Users are therefore advised to always re-confirm when in doubt, the legitimacy of a Wi-Fi name before connecting their devices. Do not connect to an unknown or unrecognised wireless access point. 2, Always confirm that a website is secure before carrying out transactions. Website addresses starting with https:// provide secure and encrypted transmission of users’ data. Users are advised to always ensure that websites display “https:” and/or a locked padlock symbol on their browsers before entering personal or financial details while using public internet access points. 3, Try Using Virtual Private Network (VPN) enabled browsers.VPN prevents cybercriminals from reading your data by encrypting it as it passes through the network. Where possible, users are advised to download and use VPN software on their web browsers when connecting to a public Wi-Fi network. 4, Avoid using special services sites on public internet access services. Some special services that request for users’ identity, passwords or personal information such as social networking sites, online banking services or websites that store your credit card information should be avoided while connected to public internet access points. Dr. Pantami added that “The general public is therefore called upon to support NITDA in its efforts at ensuring citizen’s safety and security while on the cyberspace, especially when using public internet access services, by always following some of the best practices outlined above”. Is it that Aero, Arik are leprous or credible investors are not interested?